Millions of words flowed from the serpentine hills of western Tasmania. The Waratah and Adamsfield districts produced ‘point metal’ osmiridium, used to tip the gold nibs of fountain pens. 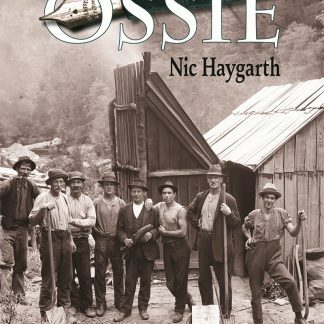 For a time in the early 1900s Tasmania had a world monopoly on point metal ‘ossie’—an alloy much more valuable than gold. Sent to New York and London to drive Waterman, Swan, Sheaffer, Parker, Onoto and Conway Stewart pens, Tasmanian osmiridium became a signatory to startling world events. It also bolstered family budgets at home. 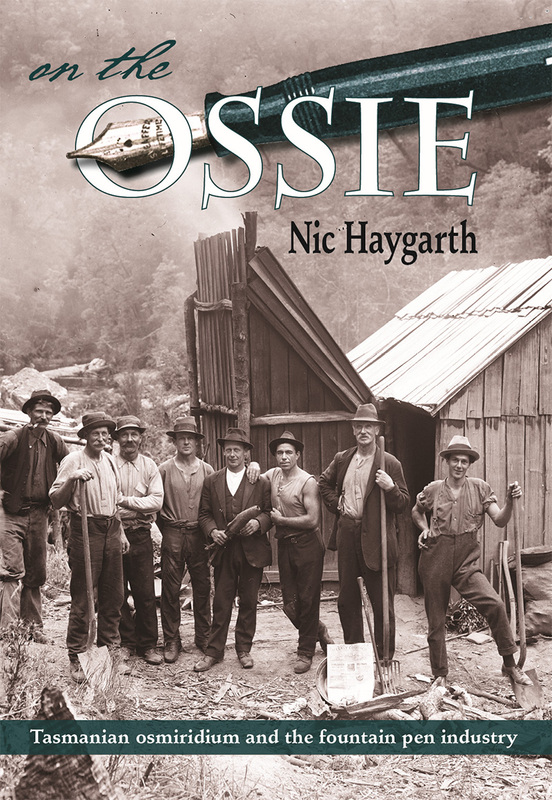 To be ‘on the ossie’ was to have the chance to escape poverty and drudgery. Like gold strikes across the globe, Tasmania’s rare earth quickened diggers’ pulses—and, astonishingly, inspired a challenge to Hollywood dominance of Australian cinemas. Copies will be signed by Nic and delivered to your door in late August 2017. RRP $49.95 +$5.00 (GST inclusive) postage (Australia wide). 'Payment options using PayPal, credit and debit cards are available. If you would prefer to pay by bank transfer, place an order through my website and select 'direct bank transfer' as the payment method. Transfer the relevant funds to Account name: Nicolas Paul Haygarth BSB: 067600 Account number: 10966986. Orders will be shipped when transfers clear. ‘Payment options using PayPal, credit and debit cards are available. If you would prefer to pay by bank transfer, place an order through my website and select ‘direct bank transfer’ as the payment method. Transfer the relevant funds to Account name: Nicolas Paul Haygarth BSB: 067600 Account number: 10966986. Orders will be shipped when transfers clear.